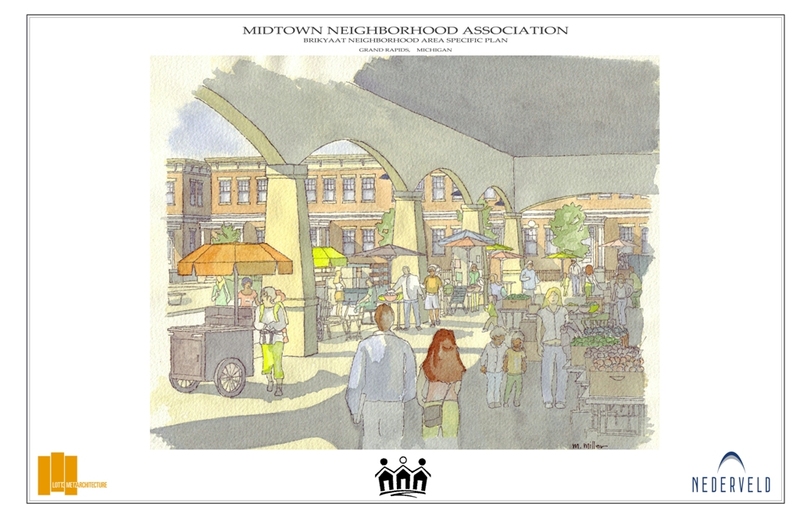 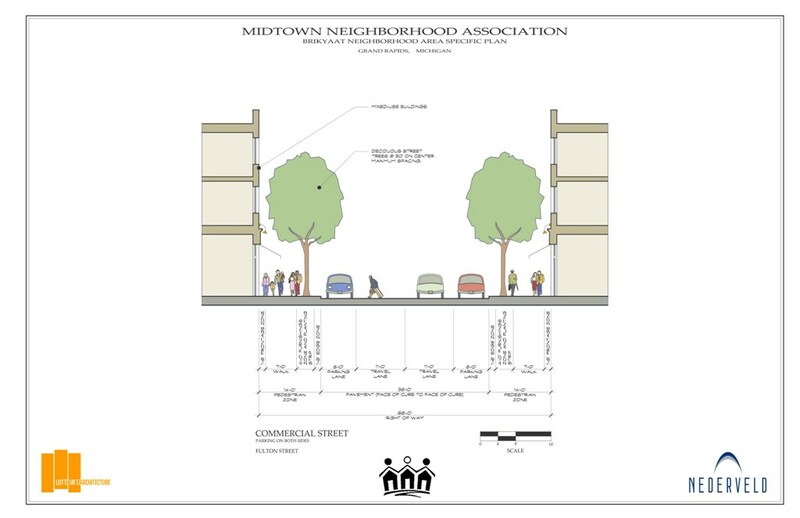 The plan is the culmination of a joint venture between us and Nederveld, Inc., and 18 months of public design with the Midtown Neighborhood Association. 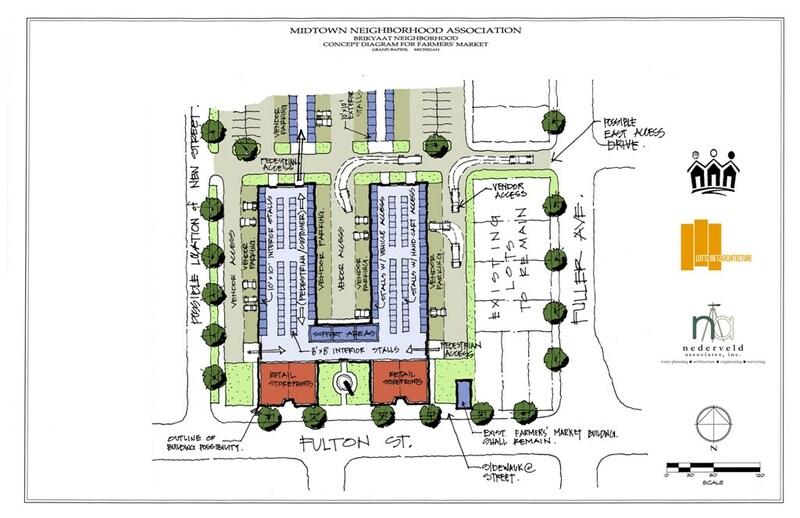 The result weaves new commercial activities with varying housing typologies to stimulate growth in an inner-city Grand Rapids neighborhood. 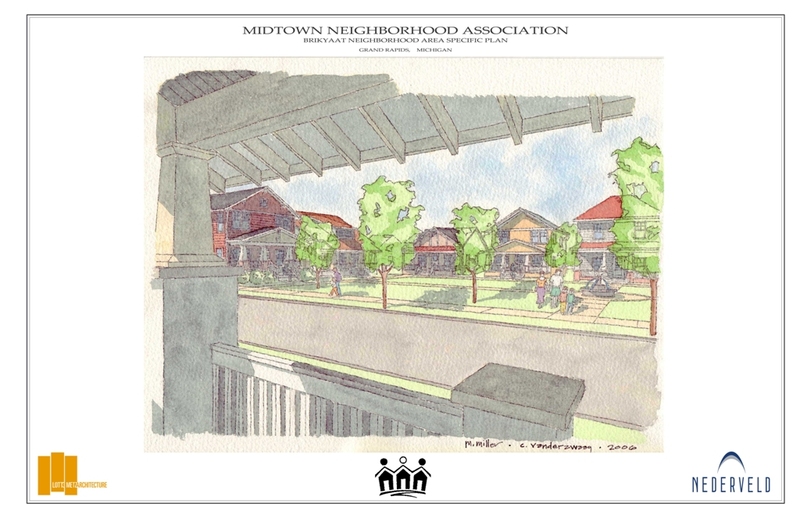 It was the first neighborhood Area Specific Plan to be formally adopted by the city as part of its Master Plan and Zoning Ordinance. 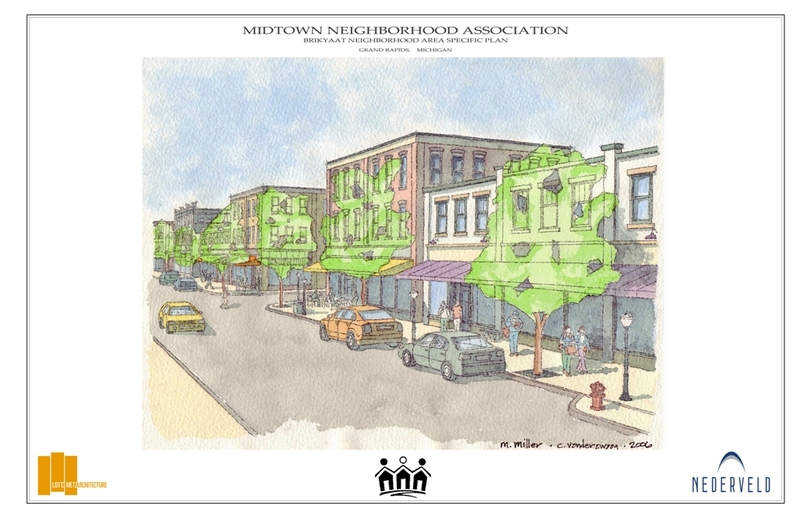 In 2007, Lott3Metz and Nederveld accepted an Honor Award in Regional and Urban Planning from the Grand Valley Chapter of the American Institute of Architects and a Blueprint Award from the Grand Valley Metro Council for excellence in neighborhood revitalization and community development.